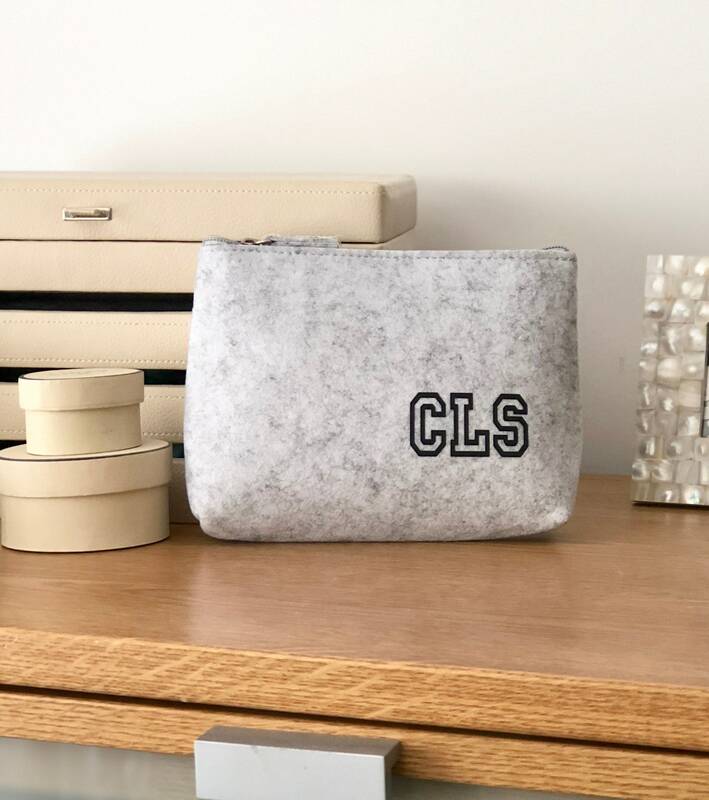 This is clean lined and stylish wool felt purse which will be personalised with your chosen initials. 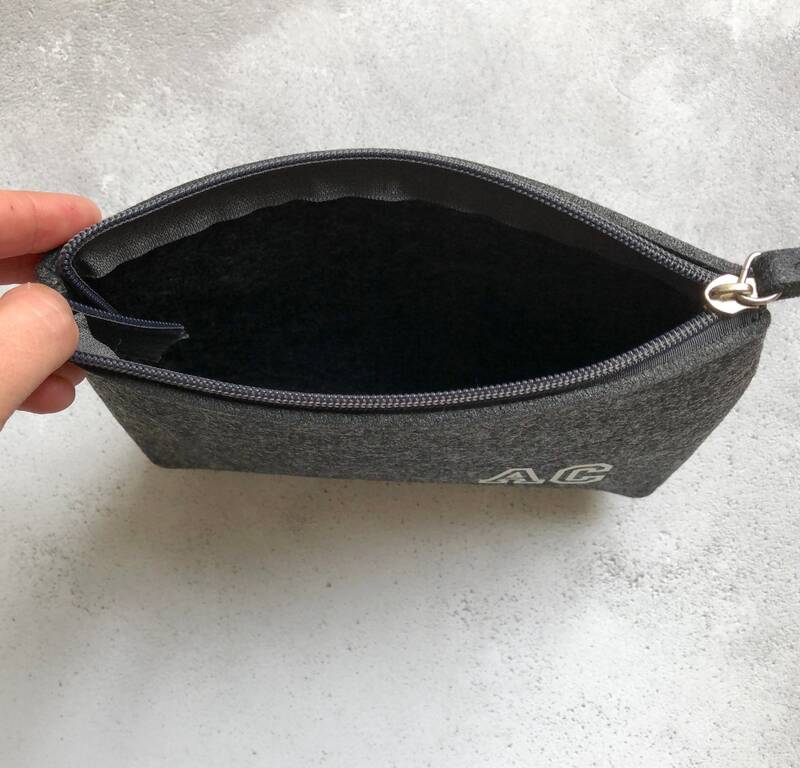 The pouch is made of tactile felt, it is sturdy and comes unlined. 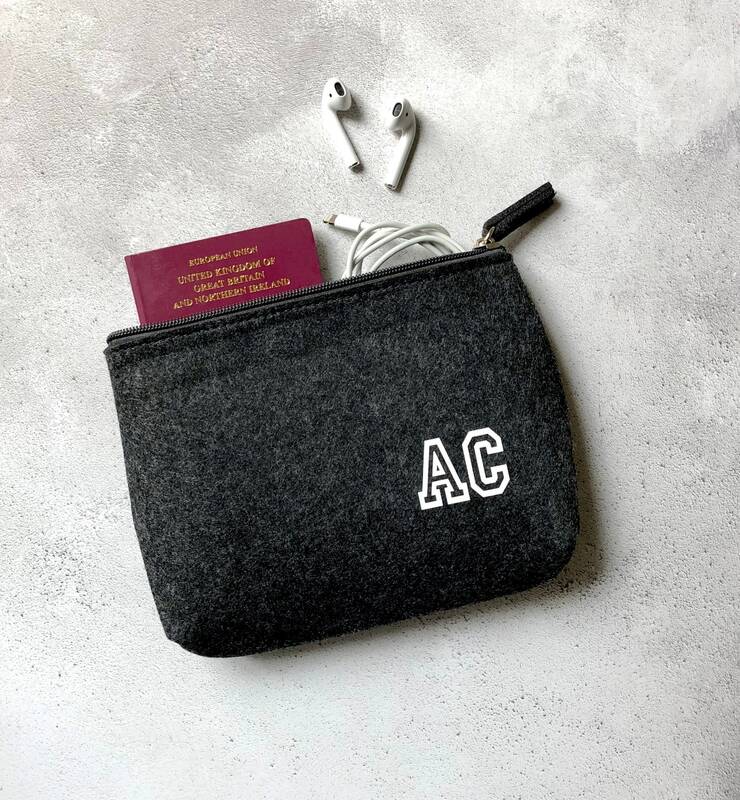 It can be used as a gadget storage pouch, wash bag or travel bag for passports and tickets. 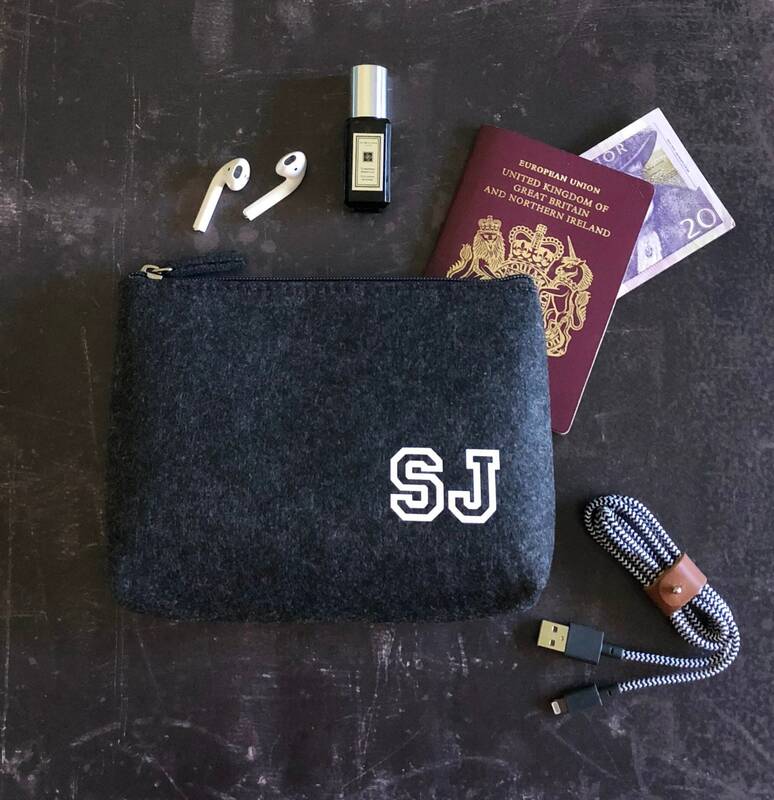 Would also suit for make-up storage and any accessories due to it's unfussy gender neutral look. This would also make a fab 7th anniversary gift (which is wool!). You can have up to four letters added. Bag is 20cm wide x 15cm high (8 x 6 inches) All measurements are approximate. 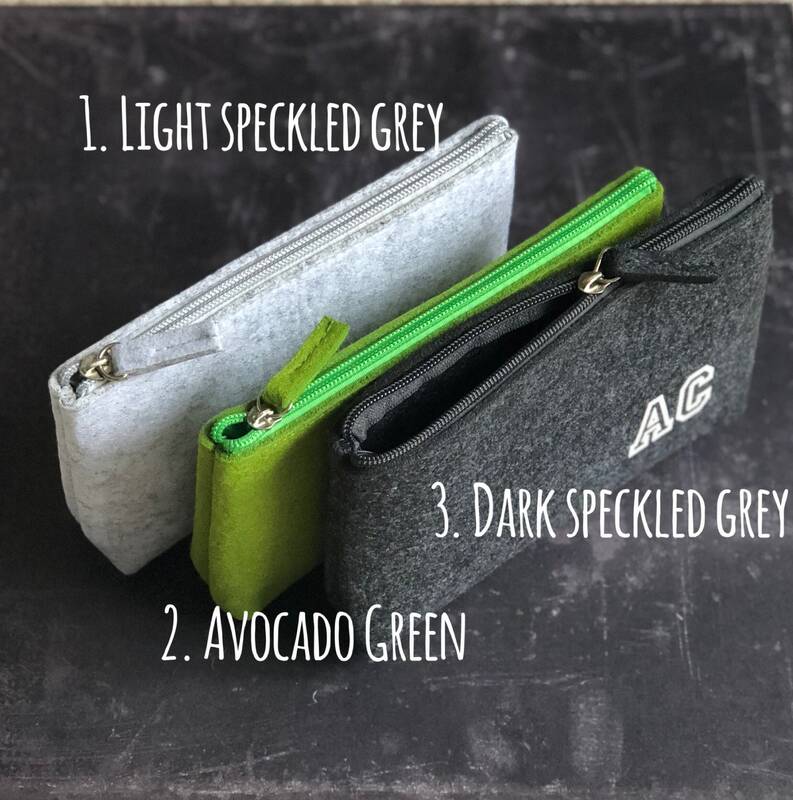 The initials are white which will contrast clearly on both grey and green felt. 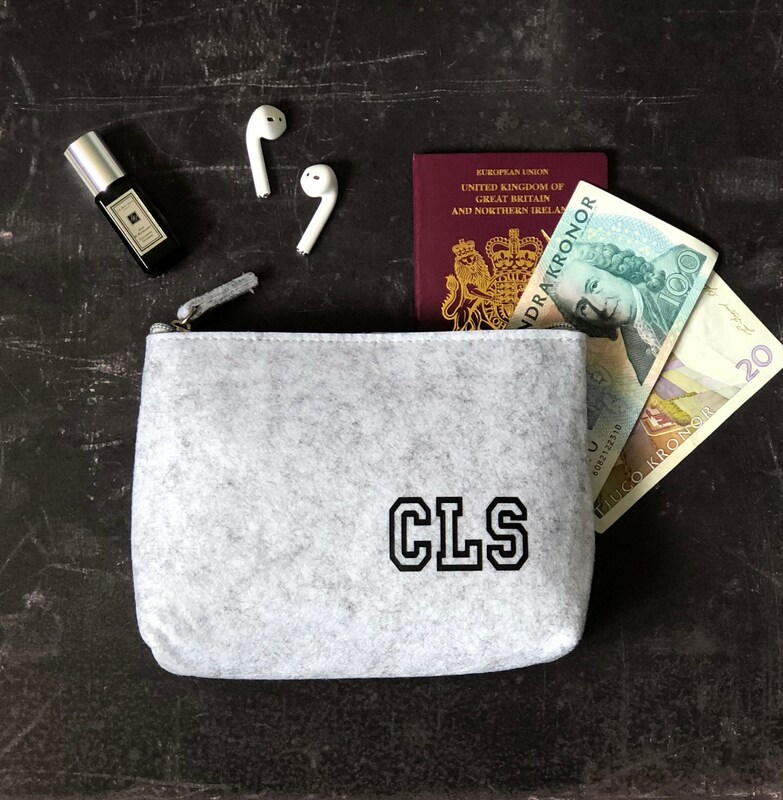 The light grey felt will have the initials in black unless otherwise requested. 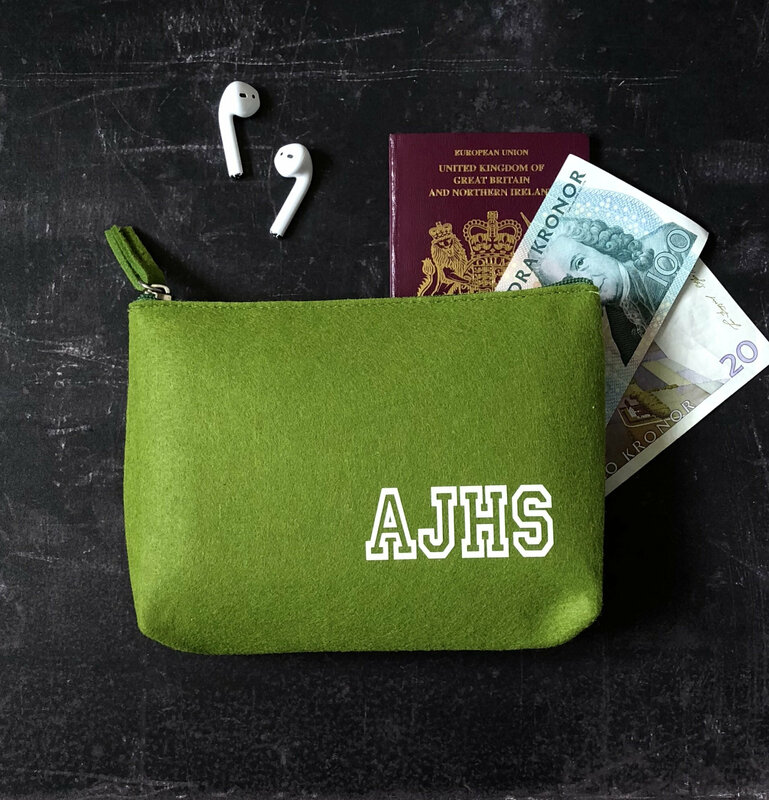 The personalised initials are firmly heat sealed on top, in the style shown in the photo. Please make sure to write down the initials in the "message to the seller" box at the check out. This listing is for felt bag/pouch only, any props used in the pictures aren't included. Came way faster than I expected and looks great! Thank you!